Every 10 years, the core set of AIA Contract Documents are reviewed and updated based on industry trends and important court decisions. Following such an update, older editions continue to be available for 18 months after which they are retired. In 2017, AIA issued revised editions of many 2007 documents. Now the 2007 documents will be retiring on October 31, 2018. Architects and attorneys using AIA’s 2017 Contract Documents will need to have a working understanding of AIA’s 2013 Digital Practice Documents in order to use many of the 2017 documents which expressly refer to the Digital Practice Documents. For example, the B101-2017 and A101-2017 require use of E203-2013 (BIM and Digital Data Exhibit), G201-2013 (Project Digital Data Protocol Form), and G202-2013 (Project BIM Protocol Form). Jeremy Baker, partner in the Construction Law Group at Schiff Hardin LLP in Chicago, will explain how AIA’s Digital Practice Documents can help manage risks posed by the rapidly evolving ways we now transmit, use, and rely on digital data. His presentation will be 90 minutes in length. Jeremy’s presentation, in a slightly different format, was originally presented to the Forum on Construction Law of the American Bar Association. Don’t miss this chance to get up to speed on the Digital Practice Documents you’ll need to know in order to use the 2017 Contract Documents. Bring your lunch; beverages and dessert will be provided. 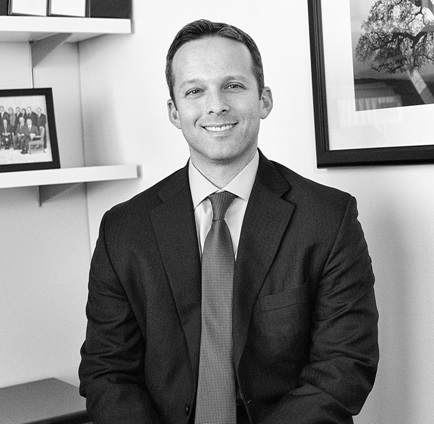 Speaker: Jeremy S. Baker is a construction attorney who helps his clients to complete challenging projects by emphasizing dispute avoidance and early, cost-efficient resolution of claims. He represents property owners, developers, design professionals, contractors and lenders in all aspects of design and construction, from contract negotiation through dispute resolution. Jeremy’s practice also involves project structuring across a variety of delivery methods, as well as contract review and negotiation on commercial, mixed use, educational, hospitality, multi-family residential, retail, workplace, utility and government projects.